Talk by Dominic Munnelly and will cover all aspects of Nutrition and the importance of stretching pre & post workout/playing. There will also be an on court demonstration of how to correctly warm up and the benefits that stretching can do for your performance. There will also be a range of products that people can order on the night. Fee €5 payable on the night. Santa Claus is coming to Naas LTC on Sunday 16th December! Please book now as there are only 20 places remaining . Registration ends this Friday, 7 December. Note: If playing a lot of tennis over the holiday period you may need to top up your fob. As the office and bar will be closed from Friday 21 of Dec this should be done sooner rather than later. Office will be opening again on Jan 3 2013. 15 players from Wexford Harbour Boat & tennis Club will attend on the day also. This will be a team event and format of the Draw will be confirmed closer to the date. There will be a mixture of Singles, Doubles and Mixed doubles. Note – filling out this form does not guarantee your entry as its limited to the 1st 15 people. Eimear Maher Causes a Stir at Ulster Indoor Championships! Congratulations to Naas LTC junior Eimear Maher who successfully claimed both U14s and U16s titles earlier this month at the Ulster Indoor Championships! Barnstorming Maher steals show as Corrie makes mark! EIMEAR Maher was on fire at the Apex Clinic David Lloyd Indoor championships at the weekend, taking the under-14 and under-16 titles. The 13-year-old caused an upset in the under-16s final when she won the match of the day after a three-set thriller with Downshire’s Emily Beatty which lasted over two hours. Ho! Ho! Ho! You’d better watch out, ‘cos Santa Claus is coming to Naas LTC on Sunday 16th December. This is one not to be missed as Naas LTC will turn very festive, just in time for Christmas! This year, we will keep children entertained for the afternoon with our fantastic Magician, Disco with light show and that special visit to Santa. Don’t forget to try our Christmas mince pies fresh from our kitchen on the day. Places are strictly limited to the first 120 children so please book early to avoid disappointment. Please make a separate booking for each child. Online Booking closes at midnight Friday 7th November 2012 and all fees must be paid in full on or before Saturday 8th December 2012. Please post fees in an envelope through the committee room door in the senior clubhouse clearly marked on the outside with Santa Visit, your name, your child’s name, age and a contact phone number. 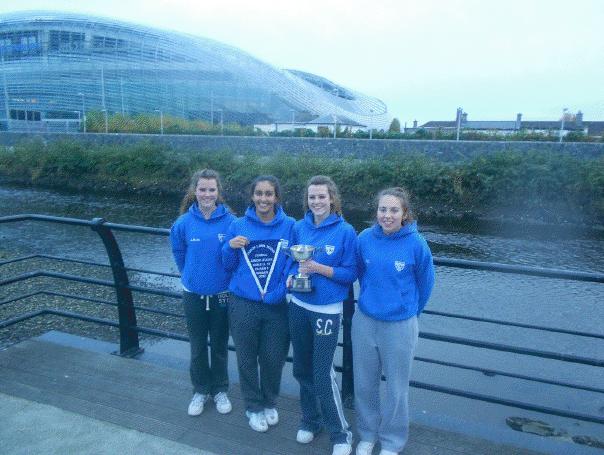 Historic Double for Naas LTC Juniors! Last Sunday the 10th of November was a historic day for Naas L.T.C. 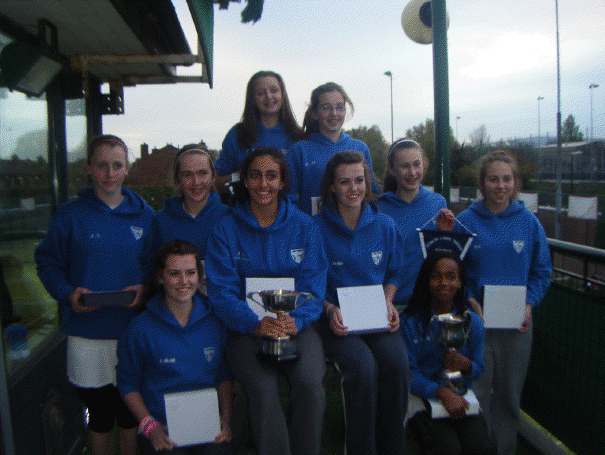 with both under 14 and under17 girls teams winning the Dublin Lawn Tennis Club Division 1 finals which were held in LansdowneTennis Club. Both teams topped their groups in the early rounds resulting in the u14 team meetingDavid Lloyd Riverview in the final and the under 17 team meeting Carrickmines. The under 17 teamgot off to a great start with Megan Campion and Janeen Laabei winning the doubles match 6-0, 6-0.Anna Williams recovering from injury lost to Robyn Johnston 6-2, 6-1. The deciding game betweenJodie McWilliams and Hannah Judge was an intense affair with Jodie giving a very consistentperformance to bring the title to Naas tennis club for the first ever time. The under 14 team got off to an impressive start with a convincing win for the first Naas doublespair Eimear Maher and Rachael Collins ,6-0, 6-3. The third pairing of Katie Dore and Marie PerlaBiansumba met strong opposition losing out 6-2, 6-3. At one point to each team it was up to theNaas second pairing to hold strong after winning the first set 6-4 but with strong attacking play fromEimear O Neill and consistent play from Cora Moloney the second set was won 6-2 and the historicdouble achieved for Naas Lawn Tennis Club. It’s a great way to keep young players motivated to continue to learn and play tennis, and as always it’s good fun too! 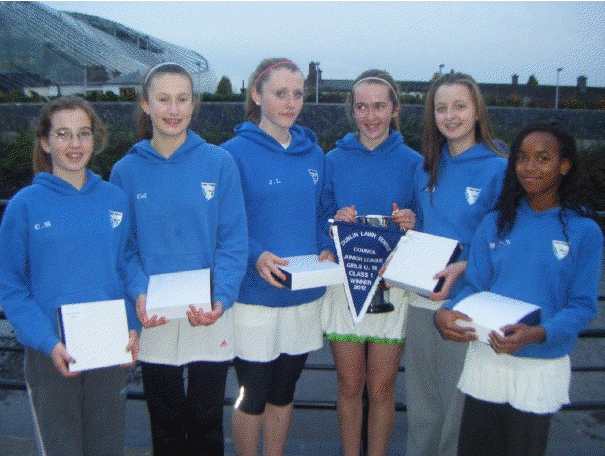 Entries can be completed on Tennis Ireland site – Link here.